Following the kidnapping of Marie and demise of Jessie Banes in Police Quest 2: The Vengeance, Sonny and Marie are still on a "honeymoon high" from their wedding a few years back. The two have a beautiful new home, Marie's got a good job at the Oak Tree Mall and Sonny has been promoted to detective sergeant at the Lytton Police Department. However, overburdened as the department is, he's been assigned to Traffic Division for a bit. After a long working day, Sonny is dispatched for a reported assault at the Mall. It turns out that it was his wife who got viciously stabbed. As Marie lies in a coma, Sonny is assigned to homicide again to investigate the crime. Soon he discovers multiple cases of similar assaults which are linked to a cult and cocaine dealers. Whoever they are, Sonny is determined to find and bring justice to those who tried to murder his wife. Sonny however is not very pleased with his new partner, Pat Morales, as he grows suspicious about her behaviour - especially about her handling of civilians and about the numerous phonecalls she makes during her shift. A look at her psychological file gives even more reason for concern. Could it be that Morales is mentally unstable, or even involved with the criminals and obstructing his investigation? 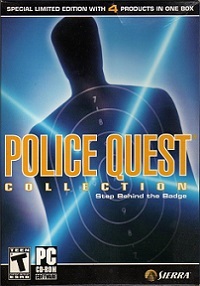 Police Quest 3, directed by Mark Crowe and written by Jane Jensen, was the last Police Quest game directed by retired California Highway Patrol Officer Jim Walls, though he still designed the game Blue Force with Tsunami Media in 1993, followed by a few games unrelated to working at the police force. 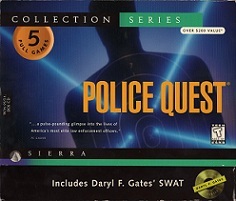 The next Police Quest installment by Sierra, Police Quest IV: Open Season was authored by Daryl F. Gates. 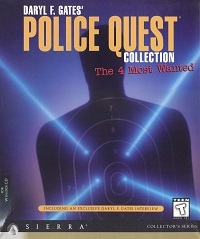 For the main theme of Police Quest 3, Sierra brought in the talent of legendary synthesizer composer and musician Jan Hammer. The game uses hand-painted backgrounds, with live-actors embedded through a video capturing process called rotoscoping. 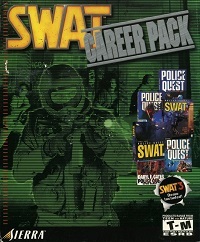 The game uses Sierra's SCI game engine and VGA graphics. 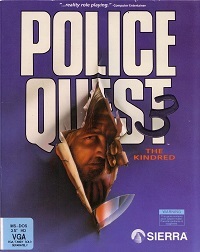 It was released for DOS and the Amiga and was re-released multiple times in all Police Quest Collections.